Should You Do Your Own Flowers ? So, there’s a ton of people out there who love flowers. I’m certainly one of them. There’s also a ton of people who want to become a florist. Yes, I was also one of them. Then there’s a ton of people who think just because you love flowers, becoming a florist must be easy. Here’s where you lose me… By a show of hands, who out there has ever browsed a flower shop, viewed the arrangements made by professional designers and thought to themselves, “Hmmm… I can do that!” Now right off the bat- I’m willing to admit that there is a small segment of this population who is capable of replicating these florals but the hard truth is-most cannot. It’s a belief amongst some that professionally arranged flowers are overpriced and simply just not that hard to whip up yourself. You see this with a lot of brides trying to save a buck or two or party hosts who believe their floral talents are just as good as the real deal. Well, maybe you will get lucky and prove to pull off the impossible! There is a select group who is able to pull off the wedding of their dreams by asking bridesmaids to give up their Friday night to stuff roses in oasis and who knows-they might even come out have decent… ? But trust me- if you have thoughts of playing these odds, I’d cash in your chips ahead. Realistically, playing designer is actually really, really, really, HARD. Many of the best in the Boston area have gone to college just to study the ins and outs of the industry, including floral varieties, seasonal availability, horticulture aspects, architectural theory and creativity techniques. Most of the desired designers have several years training or have been mentored by a seasoned staff member. There’s also the business end of things behind these beautiful little buds which is incredibly important to understand when serving clientele. They’ve learned how not to “age” a bloom” by over touching and what makes “sense” when arranging with a multitude of different varieties. My point is- more often than not, save yourself the hassle, expense and disappointment by doing your own arrangements for an important event. Ok- I get it. You’re not taking NO for an answer and are hell bent on making your own centerpieces for your bridal event or party. If this is you- just think about these tips that might save you the pain and agony of having a total floral meltdown right before your special day. When you spend too much time trying to jam stems of flowers together and then end up taking them out over and over again, it’s likely your piece just looks like one big mess. To cut back on the likelihood of this happening, make sure you have the right height vase with the length of stems you want to use. Tall arrangements need a 10 to 12-inch cylinder, rectangular or flute shaped vase while shorter bouquets are great with low lying bubble vases. 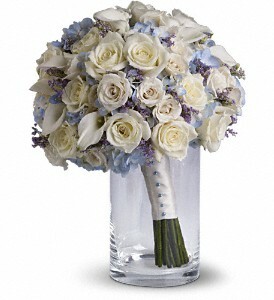 Having the perfect height will cut back on “rearranging” pieces and protect against the petals from aging too quickly. Make Your Colors Make Sense! No, it’s a vicious lie that all flowers are beautiful so that must mean they all go together all the time. WRONG! There’s a lot of thought that goes into professionally made color palettes, making it of great importance to pre-plan beforehand. If you like blush tones, then purchase blooms of the pastel realm or if you prefer bright styles, stick to the straight rainbow spectrum shades. Mixing and matching sound like a good idea but more often than not- the arrangement just won’t make eye appealing sense. How often have you visited your local florist and been envious of the way they can whip up bouquets like there’s nothing to it? So, you go home, snip a few blooms out of the garden and think you can make the identical replica no problem, right? WRONG! There is a skill associated with making hand held bouquets that requires an eye for color, taste and the ability to follow a process. Yes, it’s true. Anyone can learn if they have the patience and passion to work with flowers and you don’t need a horticultural degree to do it. Let this guide lead you through the steps towards creating beautiful arrangements for your home and events without having them look disastrous. If you have a garden, particularly a perennial garden, you have a strong advantage from those who don’t because the product is waiting for you in your backyard. If you don’t possess a green thumb, visit local farms that usually sell bundles of single variety blooms. No matter what the temptation, stay out of your neighbor’s yard because it’s likely they won’t be pleased you’ve helped yourself to their hard earned harvested blossoms. When you’ve selected your stems, try to make choices that will allow you to make pretty contrasts between textures and colors. Unless you’re using all of the same kind, mix spiky heads with wide faced petals and leafy foliage with simple greenery. Do not overload the combination with too many things that just don’t go together. If you want to play it safe, try arranging same shaded flowers instead of getting creative before you’re ready. Learn the basics first. Now that you’ve gathered all your flowers, it’s time to put them all together! The trick to this is you want to slowly add stems to the bunch and turn the bouquet while you’re doing this. That way, each side will balance allowing fewer holes and clumping. Do not make it any bigger than what your hand can fit and tie a ribbon around the middle to finish it off. Place in a vase or give as a gift to someone you love. They’ll adore the thought and your floral efforts. The truth is, there are several blogs and articles out there to help relieve some of the pressure, including tips on how to pre-plan disasters before they even occur. Wouldn’t that be something if we could correct bridle hiccups (that we know most weddings experience) before they happen? Honestly, I don’t believe that you can predict every blunderbuss situation but when it comes to flowers, there are definitely a few tips that are useful if you’re willing to be a bit flexible. Take a look at some suggested advice given by our city’stop floral designersthat will keep you smiling all the way to your honeymoon! You’ll feel confident that your special day will have an attractive display of blossoms, as well as the confidence to focus on what truly matters- reciting the vows of “I do”. Hey, if you’re willing to agree on some changes to the photo you saw in your favorite wedding magazine, things will go a lot smoother once it’s time to get down to the business of ordering the flowers. Floral professionals understand issues such as availability, cost and presentation that may negatively affect your vision as well as your wallet. Do some homework on the arrangements that you prefer and afterwards, ask the florist their opinion on whether the flowers are the right choice for the job. Listening to what they have to say could not only end up saving you the trouble of dealing with nightmarish logistical issues, but they could also save you a ton of money. Even the smallest adaptations can make a huge difference to the outcome of your wedding work so keep things flexible. Should you show them the ad in “Brides” with the gorgeous cascading phalaenopsis and palm trees scattered throughout the room? Absolutely! By doing so they’ll have a better idea of what your tastes are and perhaps can come up with a similar look that’s just as stunning at a lower price. I was a wholesale florist for twenty years and it never failed to amaze me when a florist promised a particular shade of a particular shade of a particular shade of…blush? It’s a flower, which means that an exact tint is impossible to foretell. Particularly when a pink tone such as “salmon” can be seen differently depending on the person you ask. What looks like salmon to me, might not look like salmon to you so don’t get too precise with variety names. If you’re a savvy bride, you’ll choose a basic color that can be easily identified like lavender or soft pink. These are terms that everyone is familiar with and you’ll know that your florist will be able to appease your wishes. 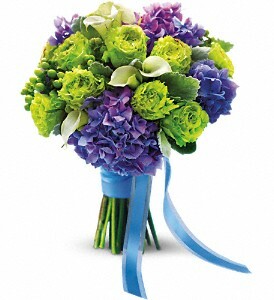 Boston flower lovers adore filling anything that will hold water and a few stems of blossoms. 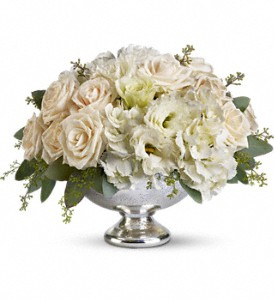 Typically, we think of larger pieces when designing floral arrangements believing that bigger is always better. 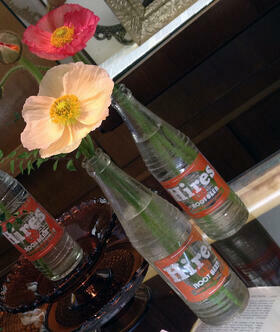 For me, it’s the smaller details that catch my eye and inspire new creations in and around my home. One of my favorite flower displays is my springtime bud vase collection that I’ve gathered from hand me downs, family heirlooms, yard sales and wherever else I might spot a unique vessel. The array of color and material are eclectic to say the least, which is the most beautiful characteristic that they possess. Different sizes and different shapes when filled with the right flowers can sometimes make a bigger impact that an enormous centerpiece. 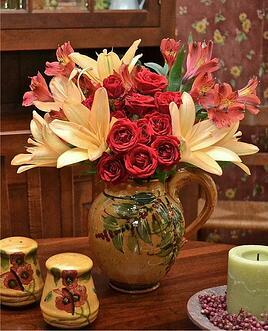 The trick is to select the right stems for the right budvase and place them in the right section of the room utilizing the interior décor and lighting. Since Boston is finally beginning to show signs of spring, you’ll have no trouble finding stunning sprigs of life that will compliment this look. Here are a few suggestions for designing smaller floral displays that I hope will help get you into the creative mood! Making sure that the budvases are thoroughly clean is one of the most important aspects of successfully displaying a smaller arrangement. Smudges, dirt and grime can distract the eye line and create a messy and tattered look. Giving the glassware a nice soaking in the sink or a good run through the dishwasher is imperative before arranging the flowers. Use a gentle soap such as Dove and stay away from any cleaner that is strong and stringent. If you have a piece that has an opening that’s too small to scrub with a sponge or even your finger, grab a Q-Tip because it works wonders. 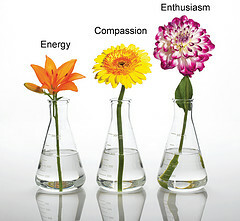 Once everything is sparkling clean, the big decision lies within choosing the right flowers for the right budvase. Luckily, we have some excellent options available to us now including lily of the valley, grape hyacinth and crocus. Depending on the width of the mouth, only place a few sprigs within each to avoid overcrowding and breakage. Boston florists can also be helpful because items such as gerbera daisies, roses and other imported varieties might also be delightful additions. 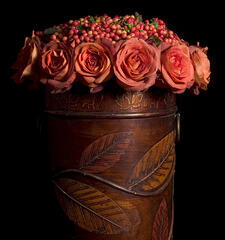 The shading of the vase may seem to control what flower fits inside but don’t be afraid to design out of the box. White does not always have to go with white and blue does not always have to go with blue. Try to flip your color control and break away from traditional matching techniques. The more we bend the rules when designing tiny bouquets, the more attractive it will become and the stronger the reaction to the piece. Go out on a limb and pair red with green or purple with orange. Place these beautiful specimens in a well-lit window and watch them wow anyone who passes by! Flower arranging can be a sensational way to add to your holiday decorating. Bringing cheer, happiness and beauty to any home, a stunning plethora of blooms gives incredible accent to traditional festive pieces such as ornaments, wreathes and candles. Decadent in color, texture and exquisite scent, the right vase of flowers will enhance your seasonal settings without outdoing the more traditional essentials of table settings and of course, the turkey. From dainty bud vases to massive urns and vessels, there is no denying the charm a bouquet of fresh flowers can bring to a home during this special time of year so don’t be afraid to get creative when searching. Some of the most dazzling centerpieces are found within the least likely treasures hidden within our home. Try these ideas to make the perfect floral epergne for your holiday enjoyment. The best place to start your search is in your basement or attic. You never know what kind of funky trinkets you may be able to morph into a vase. Items such as pottery and glass servings make excellent choices since they show off the colors of the stems as well as eradicate an antique, “no fuss” appeal. Patterned china is also a lovely option as well as ceramic, planting pots, mismatched coffee cups and even lanterns. Don’t be afraid to really think outside of the box and try other possibilities such as small glass match holder containers, children’s teacups and maybe even old pantry sugar and flour jars. All of these reflect the feeling of “home”, which is ideally what we look for in this type of “family” theme. If you cant seem to find any of these in your own house, flea markets and yard sales are wonderful places to hunt for unique valuables where you can not only get a great deal but have the satisfaction of recreating something used into something new. If this concept of making your own vase sounds enticing, you may want to keep in mind a few tips to ensure a successful centerpiece arrangement. The most important factor is if the object holds water. Before actually placing flowers within a holder, run water into it over the sink to be positive that it is drip free. 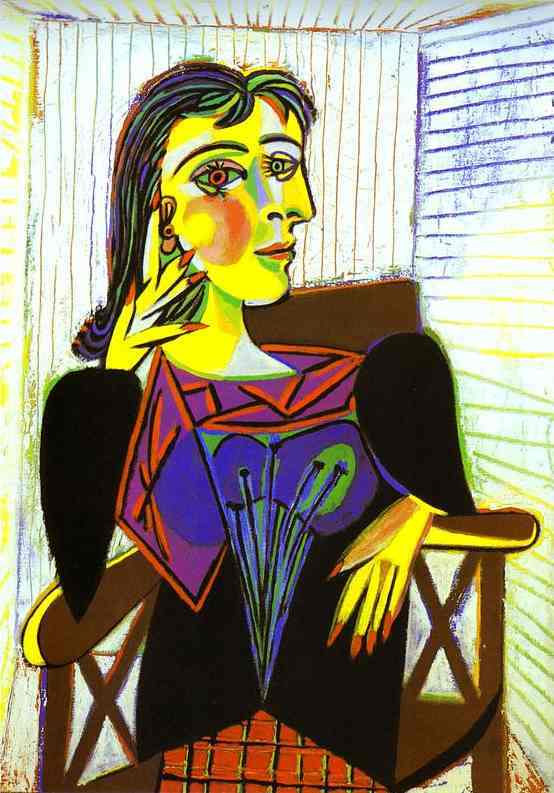 Other things to keep in mind are dyes that may be painted in inside or outside of the jar causing water to turn an undesired color and deciding beforehand if the material the vase is made up of will keep its form instead of disintegrating or decomposing (I’ve seen people try to use paper for vases-doesn’t work I assure you). Whatever means you go about utilizing your own holiday vase, be certain that it is reflective of your individuality and taste because there is nothing more important than making your holiday special for you and your loved ones. Suzie Canale lives in Westwood, Mass her hobbies include, fitness, decor, reading and cooking. So many small florists undervalue their talents. As professional florists, know that your skills came at a steep price and you should be compensated for your time, effort and talent. 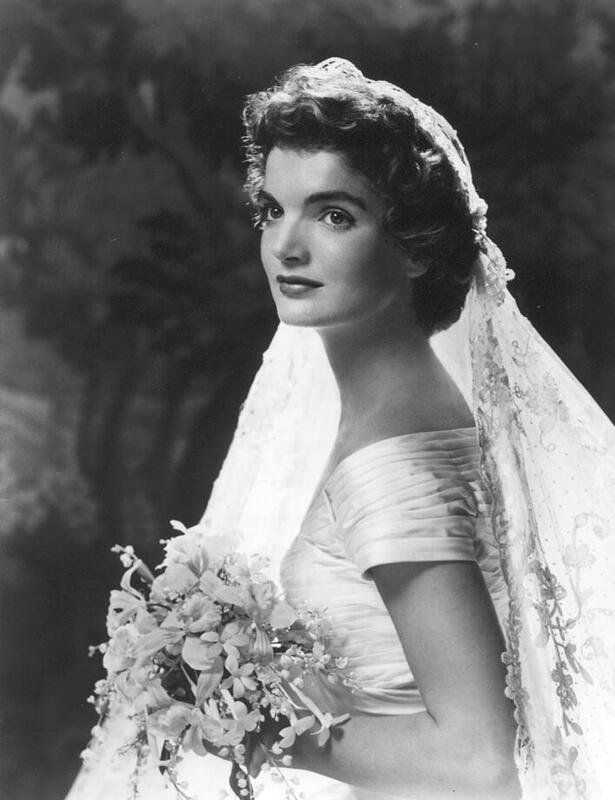 When brides come into our Boston flower shops and ask about doing the flowers themselves (dyi) for their own wedding, I often think of this story. In this economic climate, many professional designers have been laid off or closed their shops. Many of these professionals are designing flowers in their homes. 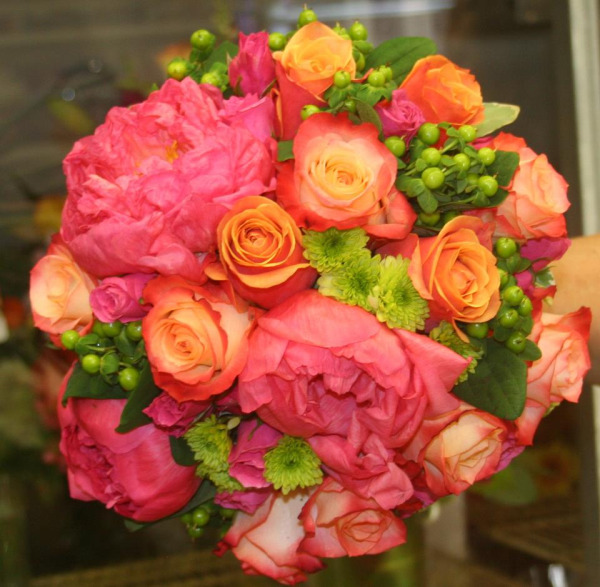 Exotic Flowers Boston is here to meet your wholesale flower needs. Exotic Flowers in Boston carries more than 10,000 roses every week. 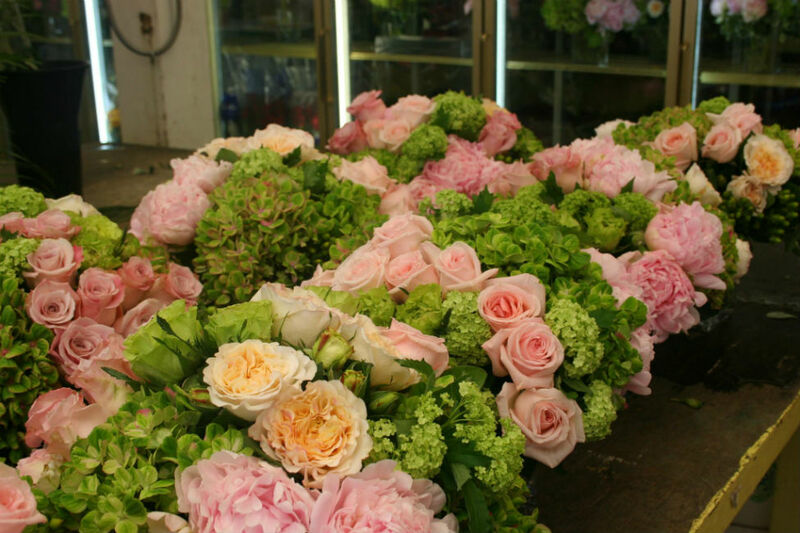 Because of our tremendous buying power, we can offer wholesale price roses in the entire Boston area. Not only wholesale roses, but also bulk pricing on all our flowers in the Boston area. Exotic Flowers now offers our premium Ecuadorean roses at wholesale prices when buying in bulk. Need 100 Red Roses for an event ? Want to make your own flowers for your wedding ? Can I get better pricing if I buy 1000 roses ? 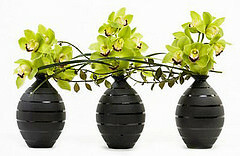 Do you sell other flowers like orchids and hydrangeas at wholesale prices ? These are just a few questions we get on a daily basis. Feel welcome to ask us anything and we will get back to you in less than twenty four hours. We can deliver any of these wholesale roses all over the Boston area. 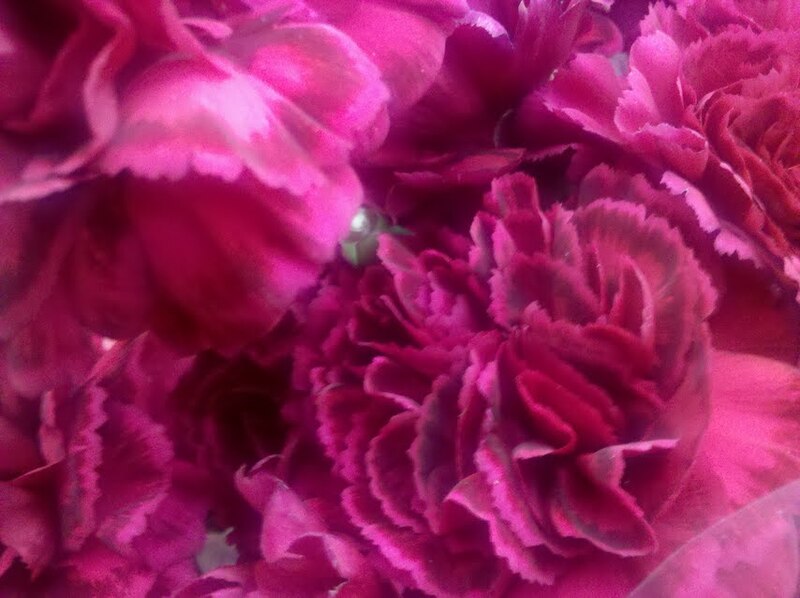 If you have a wholesale flower need, let us know. Need your flowers cleaned, prepped and in buckets ? We offer that service as well. Caveat: Designing your own flowers is not advised by the staff at Exotic Flowers in Boston. We are the professionals. You do not need any additional stress for youur wedding days.